The car has been spotted at the dealership stockyard which gives us a glimpse as to what the car really looks like. 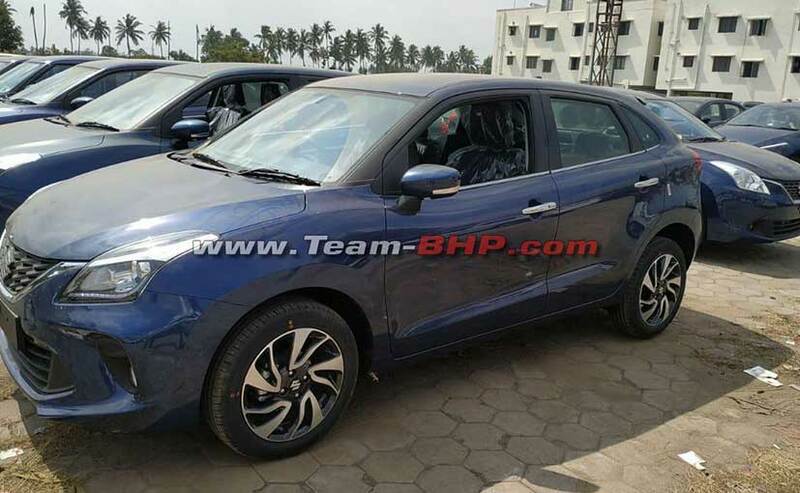 The 2019 Baleno facelift will continue to feature the existing petrol and diesel engines. The 2019 Baleno Facelift gets a new front bumper. It will now be equipped with Smartplay studio. It will come with enhanced safety features. The Maruti Suzuki Baleno was first launched in India in 2015, marking the company's foray into the premium hatchback segment and since then it has fended off threats like the Hyundai i20 and even the Toyota Etios Liva. The Baleno has been the winner in this segment and it was high time that the company brought out a facelift of the car. 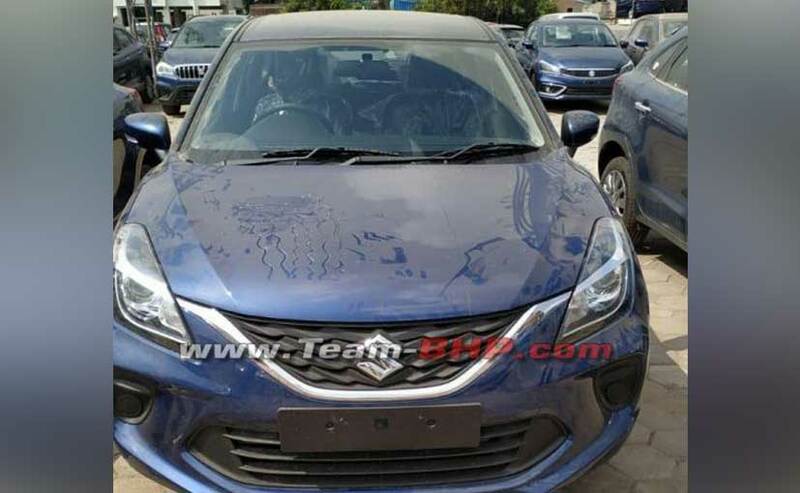 Well, Maruti Suzuki has already teased the facelift version which will be launched soon in the country and bookings for the car have already been started. Now, though, the car has been spotted at the dealership stockyard which gives us a glimpse as to what the car really looks like. It gets a new front bumper, while the front grille boasts of 3D graphics. The cars that we see here are the Alpha and Delta variants. The Alpha trim gets the new alloy wheels while there are automatic LED projector headlamps and of course the LED DRLs on offer. It gets a new front bumper, while the front grille boasts of 3D graphics. The turn indicators are integrated into the ORVMs, while there's chrome on the sides of the windows and also the door handles. There are new fog lamps on offer too. It will now get the Smartplay Studio and improved safety features. 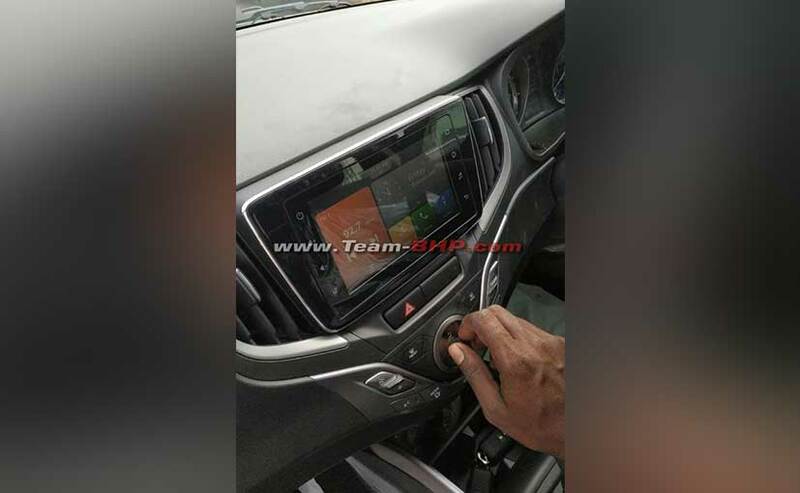 On the inside, the dashboard design is similar to the outgoing Baleno, but it will now get the Smartplay Studio and we've already told you all about it. Maruti has also confirmed that the car will now come with improved safety features like speed alert system, co-driver seat belt reminder and rear parking assist sensors. On the other hand, the standard safety bits will include - dual airbags, child seat restraint system (ISOFIX), Pre-tensioner and force limiter seat belts and ABS with EBD. The 2019 Maruti Suzuki Baleno facelift will continue to feature the existing petrol and diesel engines. The 1.2-litre K-Series engine offers 83 bhp and 115 Nm of peak torque, while the oil burner offers 74 bhp and 190 Nm of peak torque. Transmission duties are carried out by a 5-speed manual gearbox and an optional CVT automatic transmission for the petrol unit.